With every season, trends resurface. Jumpsuits, dungarees, nothing new. In my mind, it’s almost impossible to make this – this is so annoying, I need to pee but it’s taking me twenty years to unbutton this trap suit – get up appear presentable. Yet celebrities Gwen Stefani, Kourtney Kardashian and Rihanna have given this look some relevance. Although it’s not for me, this might be the one trend that is difficult to mess up. It’s simple and easy and hides every lump and bump. The clear winner for me is Rihanna. A simple studded hat, gold chain and a red lip. The trick to pulling this look off is not to over do it. Statement necklace for a feminine appeal. Boots (a la androgynous Rihanna) or platform heels. This entry was posted in Fashion and tagged celebrity, fashion, trends. Bookmark the permalink. I think with the right styling (not too much), this could work. 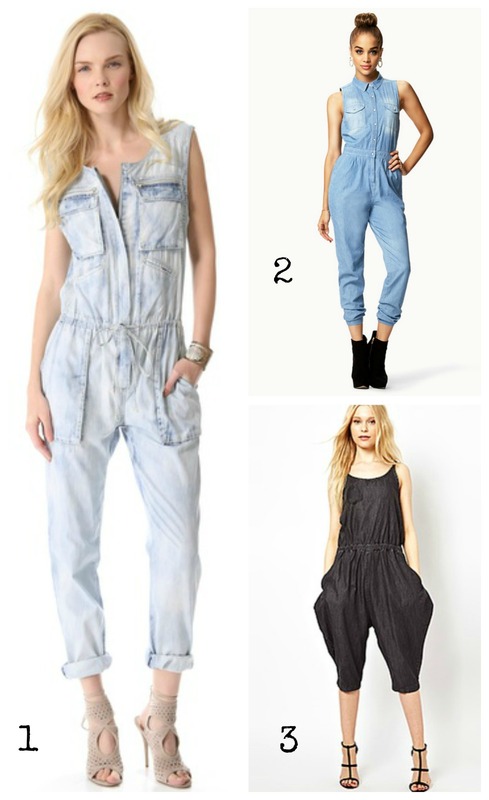 I actually love jumpsuits, and this looks like a super cute trend to try! Art is literally my first love. Whether it's music, photography, or any other form of artistic expression. It's what I blog about, the events I attend, the food I eat, the culture I experience, the things I write. Art inspires me and it is everywhere. Here, I will share all of the creative works that I find and/or create myself. I hope you like.